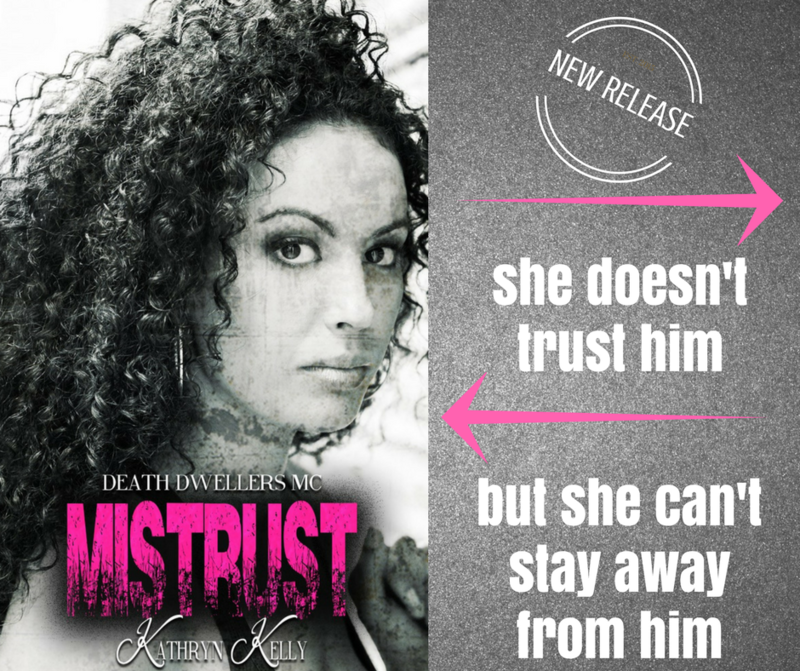 This week's Revolving Book is MISTRUST (A DEATH DWELLERS MC NOVEL) by Kathryn Kelly. NEW RELEASE! When Roxy Doucette meets the all too handsome, Knox Harrington, sparks fly. He's the new assistant to the club's attorney. However, Christopher "Outlaw" Caldwell, the club's president, is suspicious of Knox's true reasons for being there. Something about Knox just rubs Outlaw the wrong way, therefore, he asks Roxy to get Knox into bed for some "pillow talk". At first, she's outraged at Outlaw's proposal, but accepts that he might be right and the club could be in jeopardy. She agrees to "date" Knox and the war of wills begin. Born in wealth and privilege, Knox Harrington is a former police officer who has little regard for biker clubs. In particular the Death Dwellers, and ESPECIALLY the president. Now a private investigator, Knox is working on behalf of his uncle to bring Outlaw and the Dwellers down. The club members' nefarious deeds warrant their destruction. Knox intends to achieve that by any means possible. When he meets the beautiful, formidable Roxy, there's instant attraction between them. However, he sees an opportunity to use her to ferret information about the club. He's over-the-top-arrogant, believing the ignorance and stupidity of Outlaw will ultimately be the club's downfall. Knox hasn't a clue that Roxy is on to him. She's also attracted to him. Aside from the safety of the club, Roxy's in it for the benefits. She has a new lease on life after surviving cancer. Besides Knox's low-down behavior, she's a 44-year-old, mother of four children and Knox is ten years younger than she is. However, she can't resist the challenge when Knox lets it be known that he's the sharpest tool in the shed. He sure the hell is a tool. The foolish kind and Roxy is determined to teach him a lesson or two.